Get 5 tickets for the price of 4! Kick off the Holiday season with a Nightmare! The fun begins on Saturday, December 1 from 6 P.M. to 11 P.M. at the Illinois State Fairgrounds. 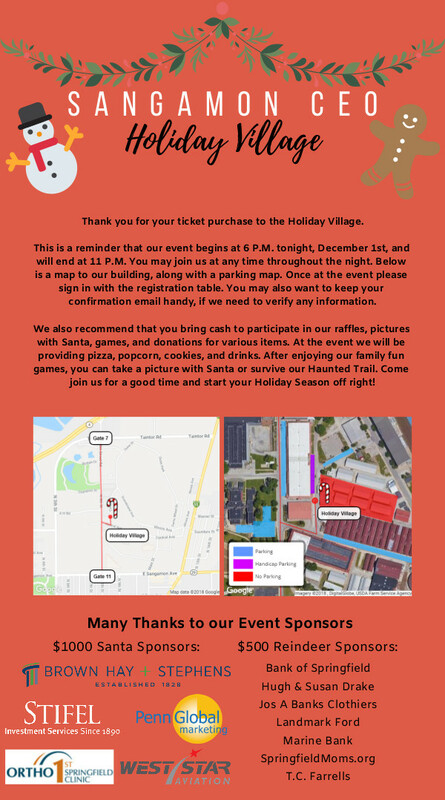 At the Haunted Holiday Village we will be offering food, drinks, a raffle, and activities including pictures with Santa, cookie decorating, and games! While there, take a walk through our Thrilling Haunted Trail. Money raised by the event will go towards the Sangamon CEO program. Voucher codes (Comp Codes) can only be used in the purchase of 1 Ticket. It will not take an amount off the other quantities. With the voucher code, you do not need to enter your credit card information. When this page loaded, the official time was 12:23:17 PM EDT.